ShopLately is an online marketplace. What that means is there are a number of different sellers running shops on there - sort of like eBay or Etsy, but fashion-focused and easier to browse. You'll find a mixture of mass-produced and handmade items in the marketplace. Searching the word "pixel" yields a bunch of results from different vendors, for example. Different sellers have different shipping policies - check the individual shop pages for more info. All ShopLately orders can only be shipped within the USA at this time. Specific items and sizes can sell out quickly, so if you see something you like grap it ASAP! You can get $10 credit towards your first order of $15+ by visiting here and signing up through Facebook. 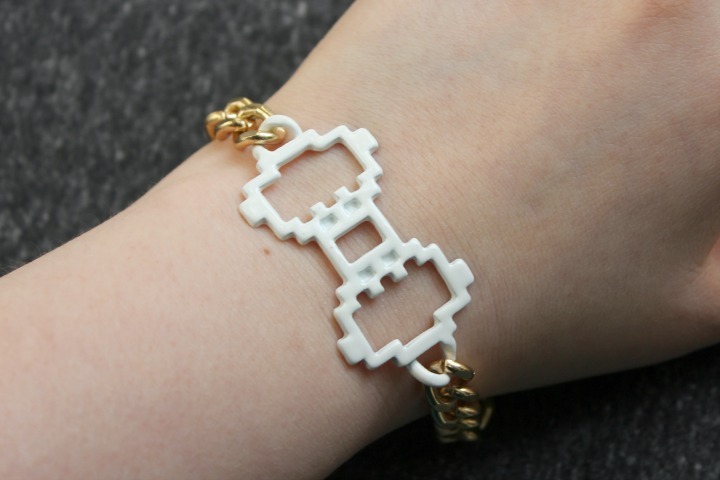 I love this bracelet because it's sort of surprising - bows are typically quite dainty and feminine, but the blockiness of the pixels gives this design a bit of edge. I ended up wearing this with a simple black sheath dress and no other accessories - classic style with a digital twist? 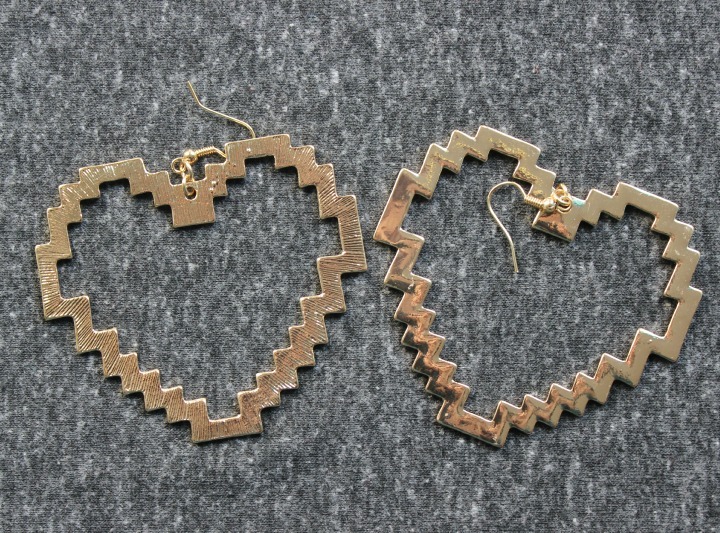 I tend to go for silver jewelry more often than gold, but I've been wearing this a LOT since I got it. It's ridiculous but sort of versatile at the same time. Go figure. 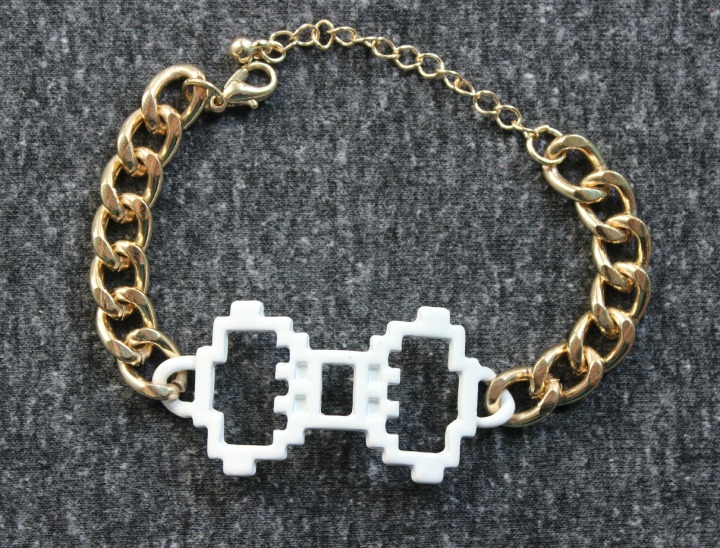 Another blocky/futuristic take on something that would typically be very loopy or dainty. I wore this while I was out and about last week and some random guy on the subway told me it was "awesome". I guess I am cool after all! I've never owned a name necklace, but I think it would be neat to have one in this style. Just saying. Whoa. Plus my ears are sort of tiny, hee hee. I ended up really liking the scale of these once I saw them on though - they certainly make a statement. Don't forget that first-time ShopLately customers get $10 off their first $15+ order by signing up through Facebook here. 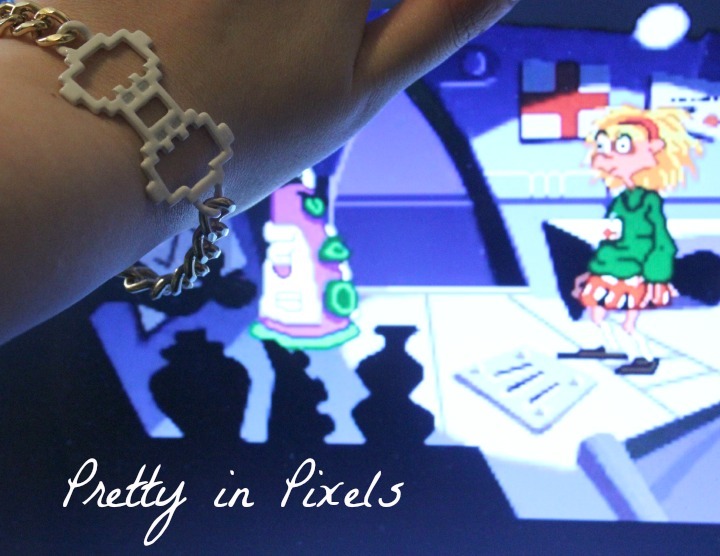 What do you think of my digital-inspired finery? 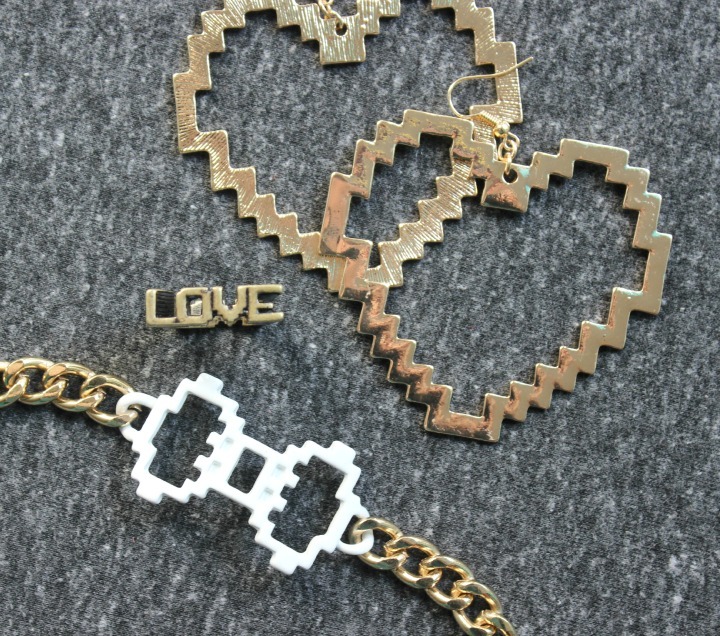 Have you ever shopped for jewelry based on a theme before? Disclosure: The items featured in this post were purchased with ShopLately credit provided to me for promotional purposes, however the opinions expressed above are honest and my own. I did not receive any other form of compensation. This post contains affiliate links. For more information, check out my full disclosure policy. This. Is. AWESOME! 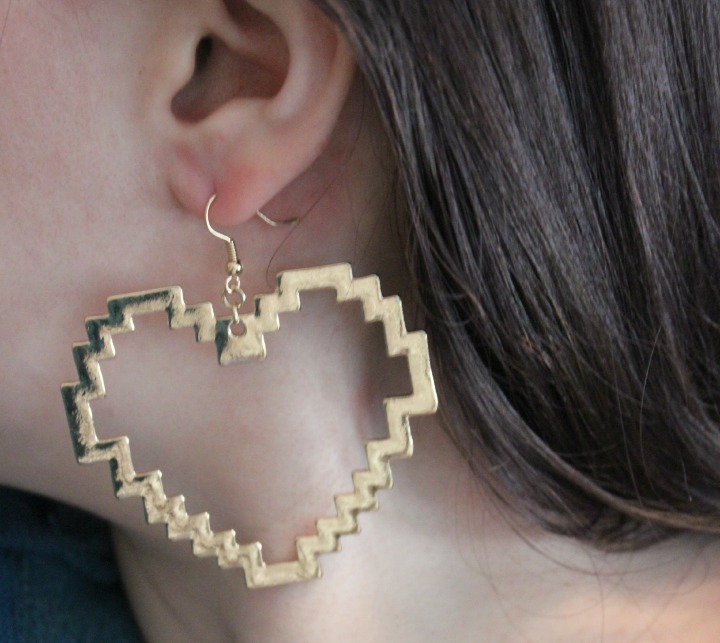 If I ever see some NES Super Mario stars or flowers or mushroom jewelry, I'm definitely buying it. Like immediately. Thanks for assuring me that I'm not the only one who misses the 8-bit age! 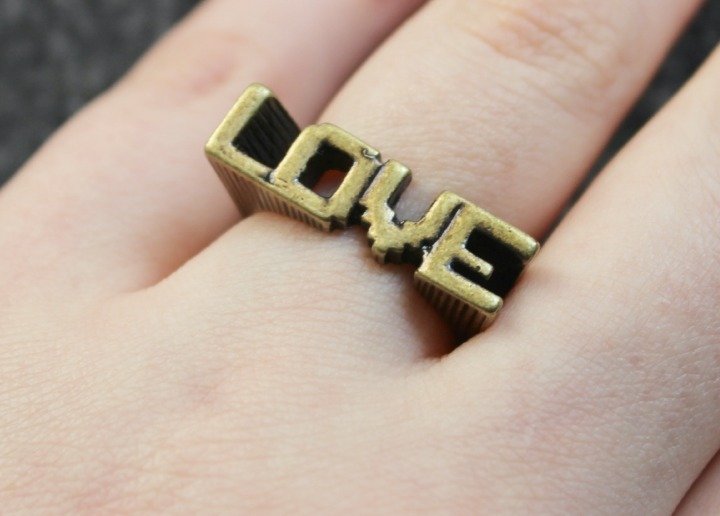 Love that Ring so Cute! Satisfaction unlocked. What an awesome haul. Thanks! I've scored at least 1000 points of satisfaction so I'm feeling good. That ring and the bracelet are ADORABLE! 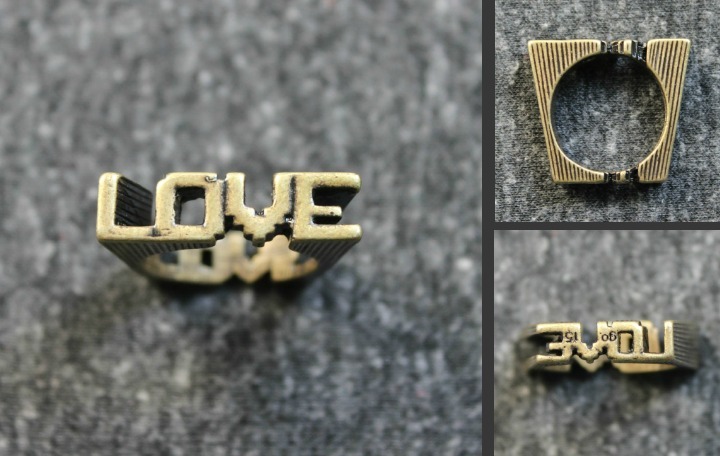 As a self professed geek I'm definitely digging this, especially the LOVE ring. Very cool!